Paint on the body of the bobble head contains lead in excess of the federal lead paint standard. Bakeries and ice cream stores nationwide from January 2006 through October 2007 with the purchase of a cake or ice cream. 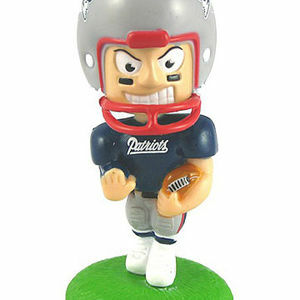 Stop using the football bobble heads immediately and contact DecoPac to receive a free product of equal value. For additional information, contact DecoPac Product Safety at (800) 536-6558 between 8 a.m. and 7 p.m. CT Monday through Friday or visit their Web site at www.decopacproductsafety.com.